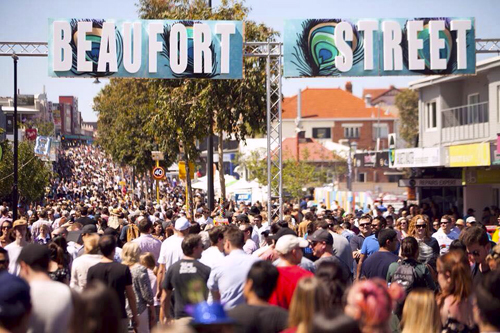 There is a big Facebook discussion going on about how good yesterday’s Beaufort Street Festival in Mount Lawley was in comparison to the Fremantle Festival. While it did not help that the trains were not running on the weekends of the Freo Festival the last Festival Parade day was a lost opportunity because not much happened before the 4 pm start of the parade. Why was the Cappuccino Strip not a full-day festival event on Festival Parade Sunday with buskers, entertainers, the Circus School, music, waiters’ race, etc.etc? Why has the festival become same-same as the years before? Why is there not more creativity and new ideas? Red Tents owner Kylie Wheatley, who organised the Pioneer Park Rio de Janeiro markets, said she tried to run it on the Strip, in High Street and Collie Street but the City of Fremantle did not want it there. In cities like Perth, Melbourne and Sydney festival directors change often to get new vitality and ideas but in the city of arts the same people have been organising the same events for years and quite clearly have ran out of ideas and are not flexible enough to accommodate change. Fremantle pays big bucks to all sort of consultants so why not engage a consultant to come up with a new vibrant Fremantle Festival. Let’s show Mount Lawley that we can do it even better here in Freo!